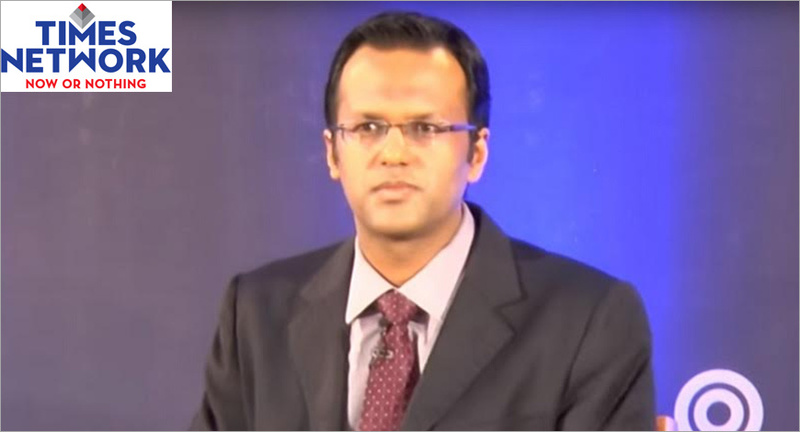 Times Network has announced the elevation of Nikunj Dalmia to Managing Editor, ET Now. Nikunj will succeed Sandeep Gurumurthi, who announced his decision to move on from his current responsibilities. In his new role, Nikunj will report to MK Anand, MD & CEO, Times Network, and will lead all editorial decisions for the channel, head news programming, conceptualise shows in addition to his anchoring responsibilities - The Market, Closing Trades and Market Makers. A seasoned journalist with over 20 years of experience, Nikunj in his previous role as the Executive Editor – Financial Markets, ET Now has built a reputation of understanding the dynamics of the markets and has gained respect of the market voices and viewers alike. Dalmia is India’s most seasoned Business News anchor who has witnessed the journey of the SENSEX from 2800 to 36000. On his new role, Nikunj Dalmia, Managing Editor, ET Now – Times Network says, “I’m honored to take over the new responsibility and I’m thankful to Sandeep for his guidance and contribution to the success of the channel. I look forward to taking on this mantle and further the momentum of ‘Rise with India’.